A number of organizations and departments serve to index and distribute records for Phelps County, an area well known for its abundant wineries, several of which have national wine making contests over the years. The Phelps County Historical Society as well as the Phelps County Genealogical Society, both nonprofit organizations, serve to maintain historical records and assist with research projects. 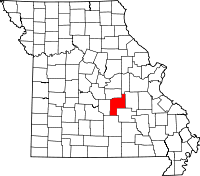 Both Societies are open to new members, and both are located in the county seat of Rolla, MO. The The State Historical Society of Missouri also operates its Research Center - Rolla which has a large number county records available for research, and will also perform research requests for those who are unable to visit in person. In addition to those organizations, the Phelps County Recorder of Deeds serves as the official county department responsible for maintaining property, marriage, and other records.